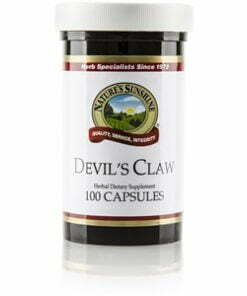 Nature’s Sunshine Devil’s Claw nourishes the structural and immune systems. Native to the Kalahari Desert in Southern Africa, the blossoms of this herb resemble claws with their thorny pods and hook-like projections. 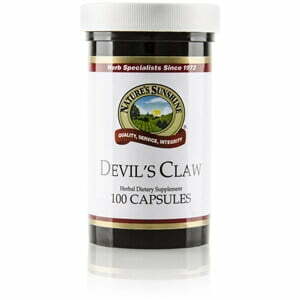 Nature’s Sunshine Devil’s Claw, Harpagophytum procumbens, contains 450 mg of the plant’s secondary roots or tubers.